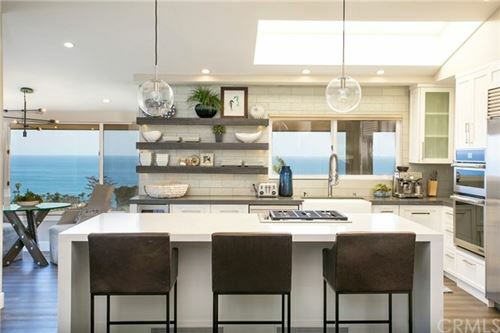 Are you thinking of moving or relocating to Laguna Beach, California? 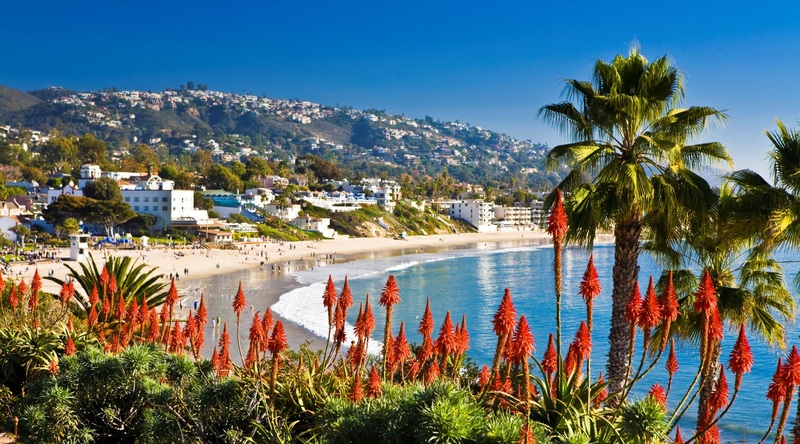 Would you like to know what the quality of life is like living in Laguna Beach? Laguna Beach is one of the most beautiful cities in the world and its immaculate weather has helped build this reputation. There are no snowstorms or tornadoes, and no hurricanes, just great weather year-round. However, if you are looking to buy a house in this great town, make sure there are no "geo-problems" listed on the house's papers. This area is prone to mudslides, so beware of this tiny little caveat. Laguna is an artist's community with very little crime to speak of. There are, like every other town, car break-ins and bicycle thefts. These are the main crimes in this beach city and they can be annoying and they can be easily prevented. Laguna Beach has some very expensive homes in some very expensive neighborhoods. But mainly, it looks like a rural community because many of the houses are rustic and look like they were built fifty to seventy years ago, which is probably the truth. However, it's the location of these homes that makes them worth millions of dollars. Downtown Laguna seems to be where tourists and locals congregate. It's a pretty safe area in general and it's a fun area too. A little further south is where you don't want to hang out alone at night and that begins around Calliope St. and goes south until Ruby Street. There are bars and nightclubs in this area that are more for the locals than tourists and that's the way the locals like it. There are plenty of great areas in this town too, such as Bluebird Canyon and the areas near Laguna Beach high School. between Park Ave, and St. Ann's Drive. The beach is what Laguna is famous for, besides the art galleries and boutiques. Most people like to buy an ice cream cone and just walk around downtown. It's such a wonderful thing to do. Try it, you will like it. Downtown shopping is fun and exciting in Laguna. There are hundreds of boutique style store fronts downtown, not to mentions the scores of art galleries. Don't forget the annual Sawdust Festival and Art Show in the summer. Great restaurants are too plentiful in this town. La Brisas is one of the best places for Mexican food and mingling in the county. Public schools in Laguna rate very high on school rating websites and are among the highest in the county. They should, it's a rich city and taxes can hire great teachers. This town was made for romance. All along Coast highway there are terrific restaurants, night clubs and bars - all very clean and even upscale. If you can't meet your soulmate in Laguna Beach, then there is a monastery a few miles down the road that's looking for recruits. The only noise pollution in this village comes from the pleasant breaking of the waves on the beach. So, if you're lucky enough to live right on the beach in Laguna Beach and are bothered by the sound of waves, then you need to get back on the bus and go home to Iowa. One of the most beautiful places on Earth! Everything about this town is artistic, from the ocean views to the art galleries and restaurants, even to the people themselves. It's a pleasure to simply drive through this little village. Mission Hospital in Mission Viejo is the famous hospital that serves Laguna Beach and surrounding areas. They have a trauma center and are a full service medical center. One of the best. Only minutes away from Laguna Beach. Based on information from California Regional Multiple Listing Service, Inc. as of Apr 20, 2019 8:35:pm. This information is for your personal, non-commercial use and may not be used for any purpose other than to identify prospective properties you may be interested in purchasing. Display of MLS data is usually deemed reliable but is NOT guaranteed accurate by the MLS. Buyers are responsible for verifying the accuracy of all information and should investigate the data themselves or retain appropriate professionals. Information from sources other than the Listing Agent may have been included in the MLS data. Unless otherwise specified in writing, Broker/Agent has not and will not verify any information obtained from other sources. The Broker/Agent providing the information contained herein may or may not have been the Listing and/or Selling Agent. If you know someone thinking of buying or selling a home, I'd love to be of service to them. So, when you think of these people, just give me a call, text or email with their name and information. I'll be happy to follow up and tend to their Real Estate needs.